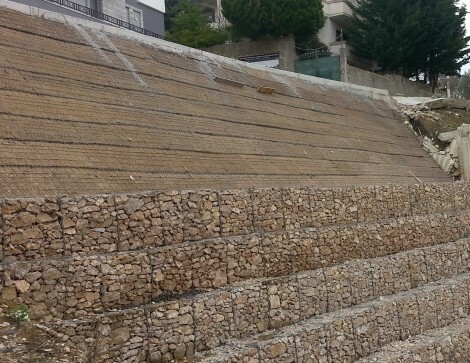 Maccaferri’s products prevent damages caused by a potential landslide near Tirana Botanical Garden. The heavy rainfalls provided the collapse of the temporary structures. An abandoned building site creates the condition for a landslide which could affect a populated area by forcing the people to leave own house for some days. In order to avoid further damages the Civil Emergency Department of the area worked to find a quick and an appropriate solution. Maccaferri’s one was selected between a wide range of other competitive solutions. For any further information contact us.